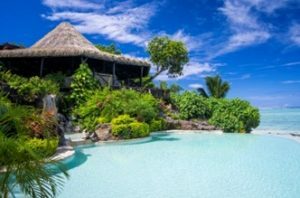 In an exciting development for Pacific Resort Hotel Group, its 5 star luxury Pacific Resort Aitutaki will now exclusively welcome guests aged twelve years and over. Pacific Resort Aitutaki prides itself on its delivery of “Secluded Luxury” to its guests. Since opening in 2002, the boutique nature of the resort has been a popular choice for couples, honeymooners and families with older children seeking intimate and exclusive experiences. 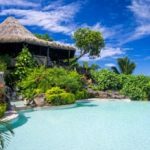 With its range of Bungalows and Villas, most suited to two guests, and only two rooms in the 29 room resort available to accommodate more than three, this natural shift aligns Pacific Resort Aitutaki’s offering with its guests expectations and PRHG believes it will further enhance the guest experience. This change in policy is effective immediately, and applies to all new bookings moving forward. All existing bookings with Pacific Resort Aitutaki will be honoured as the resort transitions their minimum age. PRHG’s General Manager – Revenue Generation; Maree Surrey says: “This change in age has been carefully considered over an extended period of time, and along with minimal facilities to cater for the younger guests under 12 at Pacific Resort Aitutaki, we have the perfect alternative in our sister resort, Pacific Resort Rarotonga, which we will continue to welcome families looking for a holiday in paradise. The great facilities of our Beach Hut Kids Club, our range of family rooms, kids pools, children’s menu and safe lagoon, is a great alternative for those travelling with the under 12’s”. Pacific Resort Hotel Group looks forward to continuing with its mission statement of ‘exceeding guests expectations’ in all avenues of its operations.